With many years’ experience we specialise in all types of paving installations. All our work is fully guaranteed, we offer free estimates and advice and no payment is required until you are completely satisfied. If you’re looking for quality Driveways – Patios – Fencing – Block Paving at an affordable price you have come to the right place. 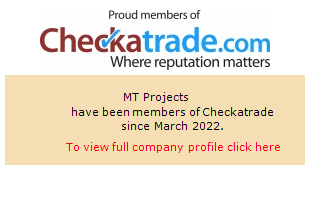 Here at MT Projects we have over 20 years experience. As a team we have come across a variety of challenging projects so no matter how big, small or difficult your project we are the company that can get you the results you are looking for. We are happy to work anywhere in a 40 mile radius of Southampton. We are fully insured with public liability insurance of 1 million pounds. We also have CPCS machine tickets. We are steadily building up a great local reputation. Most of our jobs come through word of mouth so our work is the best advertisement we have. That is why we approach each job with the same commitment to providing quality workmanship, excellent customer service at low prices. So if you’re looking for a top quality finish at a price that won’t break the bank give us a call now on 07541711343 or 07876717099 for a free quote. Block pave your driveway to a high standard. We can create a professional looking patio in your garden to soak up the sun. Why not get your garden ready for the summer. We undertake all types of groundworks including footing for extensions, drainage and brickwork up to damp course level. We can supply and erect all types of fencing and remove and dispose of your old fence. Here you can view some of our clients recommendation letters. We hope you find these useful on making your decision on using us on your next project. Hi I would like to say thank you for the professional service you gave us when you removed old patio area and replaced with a new patio area with block paving.